What is the nature of reality? At the root of our society's deepest political and cultural divisions are the conflicting principles of four global worldviews. While each of us holds to some version of one of these worldviews, we are often unconscious of their differences as well as their underlying assumptions. 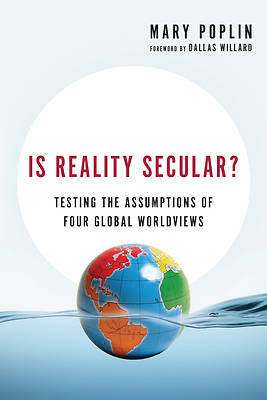 Mary Poplin argues that the ultimate test of a worldview, philosophy or ideology is whether it corresponds with reality. Since different perspectives conflict with each other, how do we make sense of the differences? And if a worldview system accurately reflects reality, what implications does that have for our thinking and living? In this wide-ranging and perceptive study, Poplin examines four major worldviews: naturalism, humanism, pantheism and Judeo-Christian theism. She explores the fundamental assumptions of each, pressing for limitations. Ultimately she puts each perspective to the test, asking, what if this worldview is true? If reality is secular, that means something for how we orient our lives. But if reality is not best explained by secular perspectives, that would mean something quite different. Consider for yourself what is the fundamental substance of reality.